Description: Beautiful one owner patio style condo. Wood floors throughout. 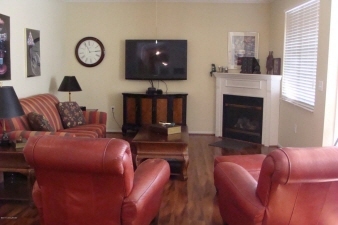 Formal living room with gas log fire place, formal dining room, eat in kitchen, 2 bedrooms and 2 full baths. Attic for storage. Washer and dryer will remain in the condo. Data believed correct but not guaranteed. Buyer to verify data prior to offer. Agents read agent remarks.